All are welcome to attend our weekly meetings as well as gospel series, suppers, children's programs and other community events throughout the year. We believe that the Bible is both authoritative and reliable - the living, inspired and unchanging Word of God. It is relevant to our lives today and sufficient to meet all our spiritual needs. The Lord Jesus Christ is the eternal Son of God, the only 'Name under heaven whereby we must be saved'. (Acts 4:12). Salvation comes by faith in His death on the cross for sin. 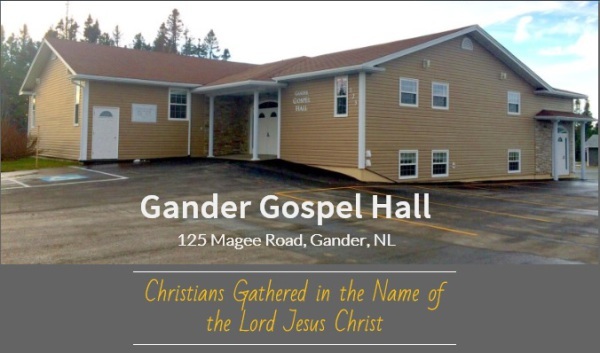 The Gander Gospel Hall was opened in 1986 to provide a meeting place for believers desiring to follow New Testament church principles. The original location was at the Gospel Centre in Town Square. The simplicity of such a gathering around the Lord Himself is what attracts Christians to this place. Join us as we celebrate the grace of God and the Bible's message of salvation through the work of the cross. Children are taught God's way of salvation through singing, memory verses, Bible stories and fun activities. They also receive instruction in age-appropriate classes by dedicated Sunday School teachers. Transportation can be arranged if needed. Parents are encouraged to come along and get involved as well! Home and Hospital Visitation: If you would like a friendly chat or would be interested in having a loved one visited, just let us know. Maybe you have a special prayer request. We are here to help you in your relationship with the Lord. 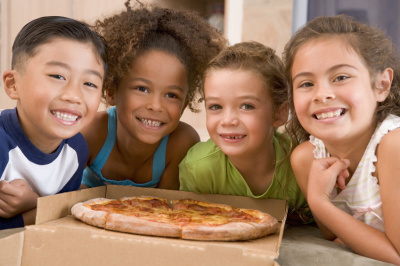 We often have activities planned for our young people. Whether active sports and outdoor activities or just hanging out together, there would be something to interest your teenager. 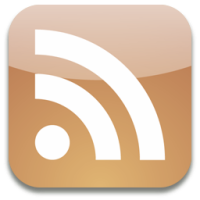 Click on logo to visit the Anchorpoint Radio website for gospel messages and information about Gospel Halls across Canada.